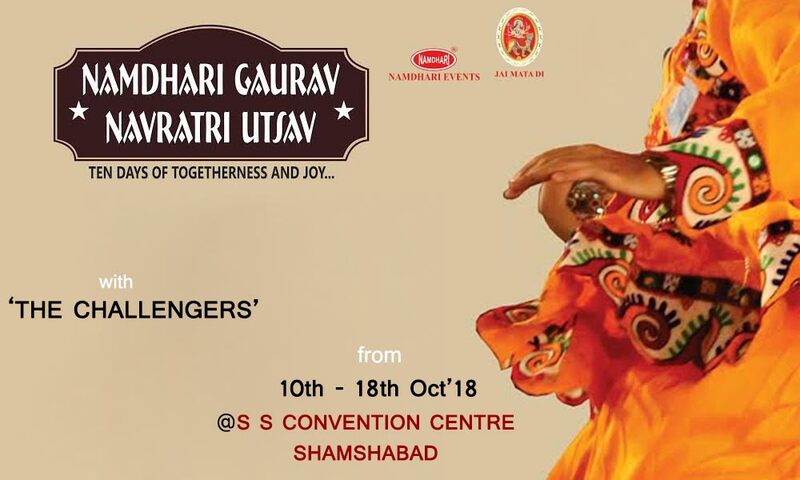 Namdhari Gaurav Navratri Utsav will live from 10th to 18th October in Hyderabad. Namdhari Events N Promotions Pvt. Ltd presents the Navratri event for the year 2018 “Namdhari Gaurav Navratri Utsav.” This event is back with the previous experience of strength and courage has given us. This cultural event begins on 10th October to 18th October in S S Convention, Hyderabad. Rock your day with the famous Orchestra & Disco team of Mumbai “THE CHALLENGERS". For more information contact us at namdharingnu@gmail.com or 04023357287.